This paper presents the application of Artificial Neural Networks to recognise among gestures trajectory patterns in a Euclidean space. The data was filtered and normalised by the Fast Fourier Transform. 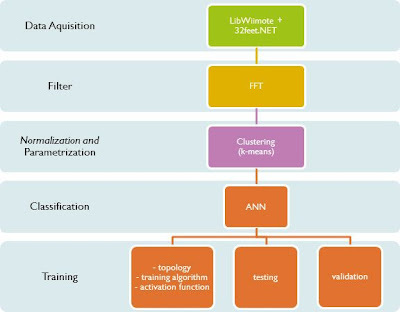 The k-means algorithm was used to parametrise the optimized data as input of the ANN by creating 15 clusters of data. Using the FANN tool , the ANN was modeled trained and tested so that the output of the ANN is the recognised gesture . 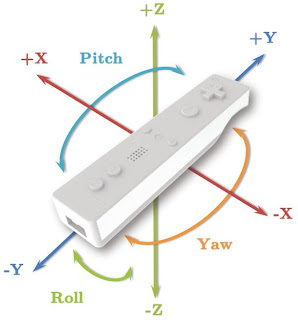 The raw data comes from a set of 8 trajectories representing gestures captured by a device based on accelerometers like the Nintendo Wii remote.